"It Only Gets Much Worse"
Okay, now I’m even more impressed: Shonda Rhimes is apparently hanging on to her Trump analogy from last week. She even double-downs on it in this episode, with the twin inept leadership of Kepner and Minnick. 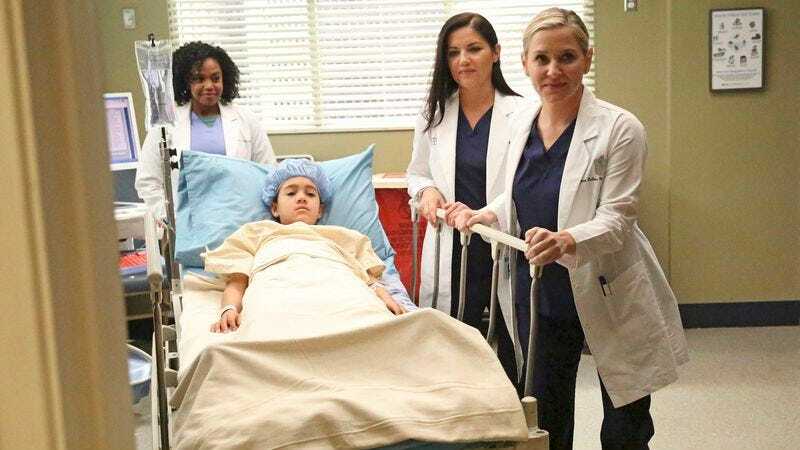 Kepner pulls it off in the end, but not before she freaks out in front of a patient (Aida Turturro), who demands the suspended Grey (i.e., Obama), and instead gets a Kepner who goes off, Trump-like, on how she is just as good as her predecessor, especially in niceness, which is not even a ranking in the “best surgical qualities” department. In Kepner, we also get someone who may be unqualified for the position she’s in, but is handed it, and decides to go with it. Jackson even suggests that she resign (like we’re all praying that Trump will do) and she refuses. Speaking of unqualified: Minnick is a sports doctor, so her smug insistence on Edwards leading that surgery is especially tough to watch. I’m just diving in to Rhimes’ Trump worldview here, so let’s call the Edwards debacle the Yemen invasion. We see that unsure leadership at the top (Kepner stammering to Webber cements that point home) can lead to unwise decisions at other levels, like a sports doctor steering a young resident into a surgery where a child dies, then not even having the tenacity to help comfort that resident when it’s over. And I’m still calling Catherine as Bannon, puffing up and filling the ears of her cohorts (Kepner and Bailey),while not listening to others who might disagree with her—and this show is never going to be on the opposite side of Webber. Especially when Catherine accuses him of wanting to destroy the hospital, i.e., the country. 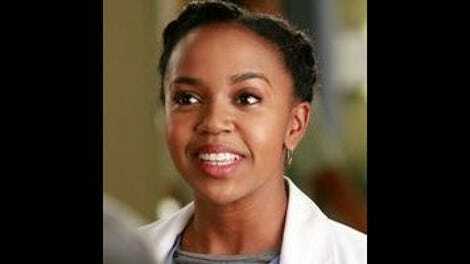 She also manages to turn Richard and his favorite protégé, Bailey, against each other. Ben is the average American citizen, just wanting to do a good job, but stymied by all the arguing at the top level. So it’s all a bit heavy-handed, and I’m not sure where it could all lead. Because in the end, Kepner does pull off her surgery, after a false start, and even as she alienates Maggie, throwing her out of her E.R. like a true dictator. Having the cute young patient die is a harsh realization of what could happen to the country, but as we’ve said, Rhimes is not exactly shy about trying to get her point across. Again, I get the point the show is trying to make, but Hunt should not be perplexed about whether you can “vote wrong.” Come on, he’s a doctor, he should be able to get that. This episode appears to be designed to set us up for really, really hating Minnick, with some sympathy thrown in at the end. But the first part works too well. It’s obvious that she and Arizona are being thrown together, and I hate that, because I now really hate Minnick. No discussion about where Alex is this episode? Didn’t he just get his old job back? And as many are pointing out: Grey owns the hospital, so why doesn’t she get a say as big as Bailey’s? Yes, I get that Bailey outranks her in staff, but who outranks who in ownership shares? But then, we wouldn’t have this Trump analogy, which I have to say, I am enjoying, With the inept and corrupt leadership we currently have at the top of the country, it’s interesting for Rhimes and her staff explore different types of leadership, and teaching, and the effect that they have. Richard’s speech to Edwards shows that he knows how to teach, as does Arizona. Catherine’s attempt to fix the resident program by going around her own husband likely spells doom for their relationship. Next week’s episode was supposed to be the prison episode, until the show started shifting the schedule around. Hopefully after next week, all will be realigned. We need Alex and Meredith back, because the show suffers without them. Hey, did you hear that this show is renewed for a 14th season?